De Watergroep is the largest drinking water company in Flanders. It is responsible for the production, distribution and supply of clean drinking water throughout Flanders. De Watergroep is also involved in the management of all links in the water chain including rainwater, process water and wastewater. It manages a network of 32,460 kilometers of pipelines to serve over 3 million customers and hundreds of companies. 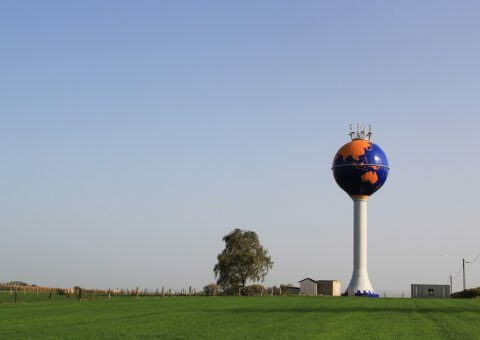 This includes a network of water towers ensuring the safe distribution of drinking water to different local communities. The maintenance of these water towers is vital to ensure that this network is not disrupted and that all drinking water remains clean and safe. 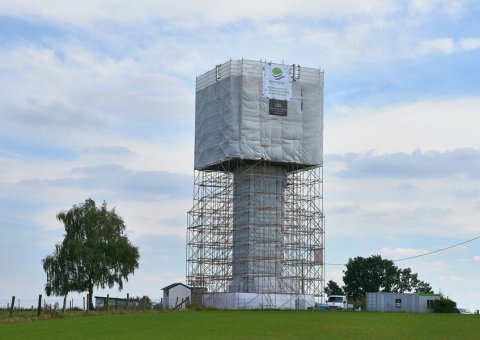 In 2017 De Watergroep prioritised maintenance of the Meeuwen and Bierbeek water towers. 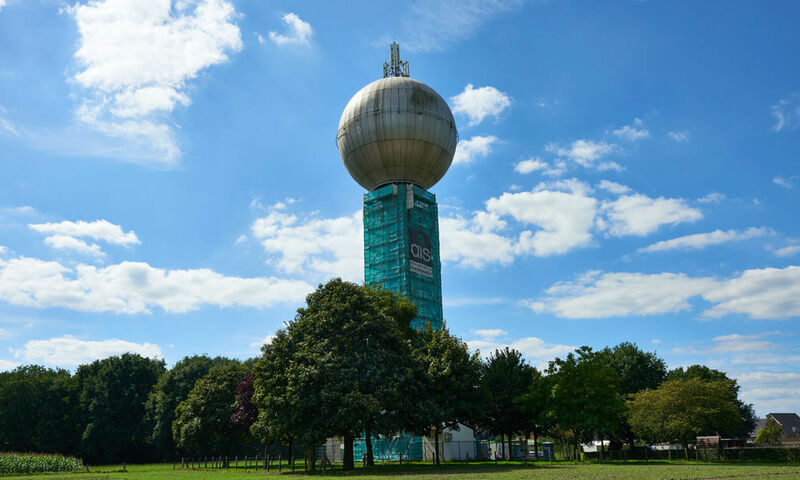 The 28 m high Bierbeek water tower (built in 1969) alone holds 500 cubic metres of water supplying 5000 local families and a local hospital with safe drinking water. 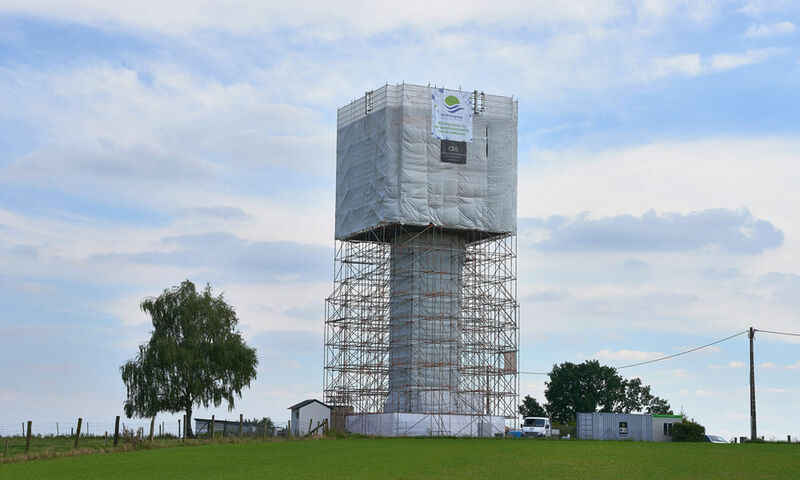 De Watergroep specified that the water tower shafts obtained a 10 year APAC warranty. AIS Groep are APAC approved applicators and were responsible for all aspects of this project. 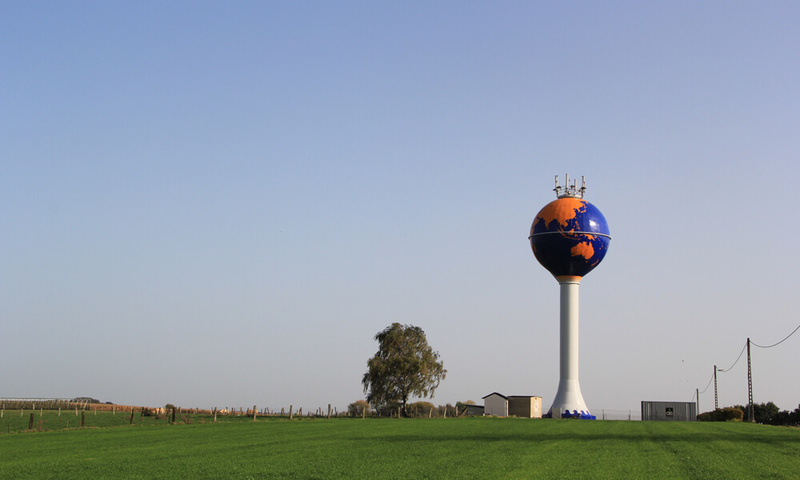 The overall project involved painting the water towers at Bierbeek and Meeuwen. 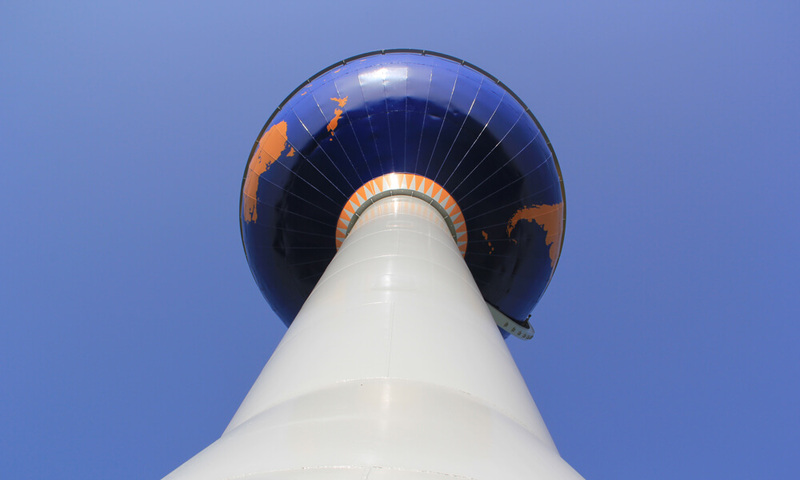 Each tower consists of a steel support shaft and an aluminium sphere holding the water. 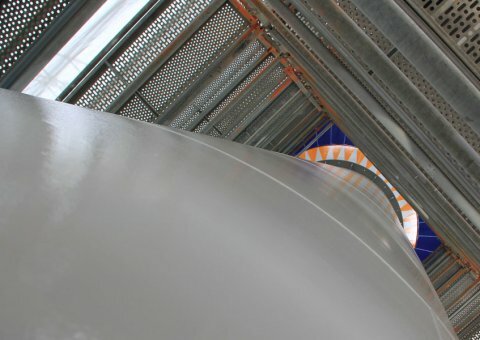 De Watergroep required that the APAC warranty applied to the support shaft exterior. 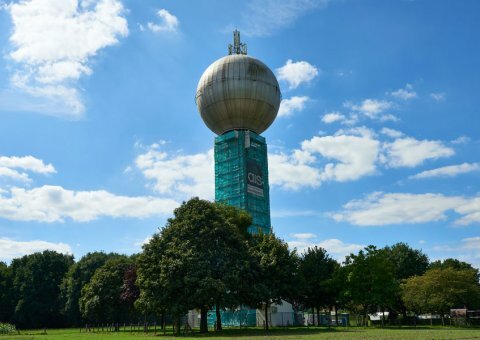 At the Bierbeek tower the aluminium sphere was also re-painted (reviving the10m globe). 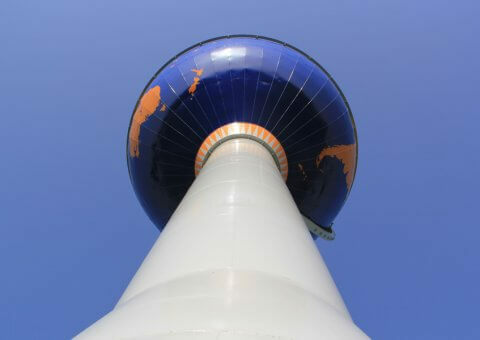 This did pose additional operational difficulties for AIS groep with specialist scaffolding needed to ensure the fragile aluminium sphere was not damaged. The towers remained operational at all times. The water in the tower had to be kept safe from contamination (dust and gas protection). Additional welding work was completed on the shaft in replacing defunct shaft windows. Aluminium Sphere. High pressure water cleaning. 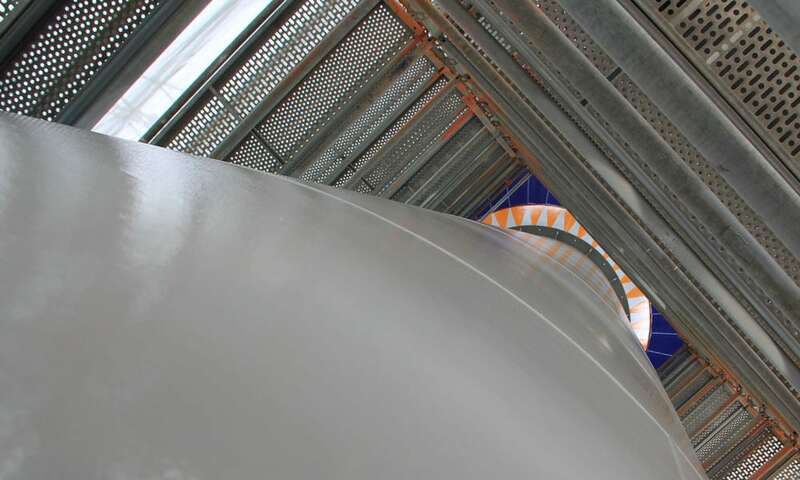 A 3 layer paint system (PPG protective coatings sigmacover 350 & sigmadur 1800) was developed to provide a high gloss, durable finish that had all the anti-corrosion features needed to qualify for the APAC guarantee. 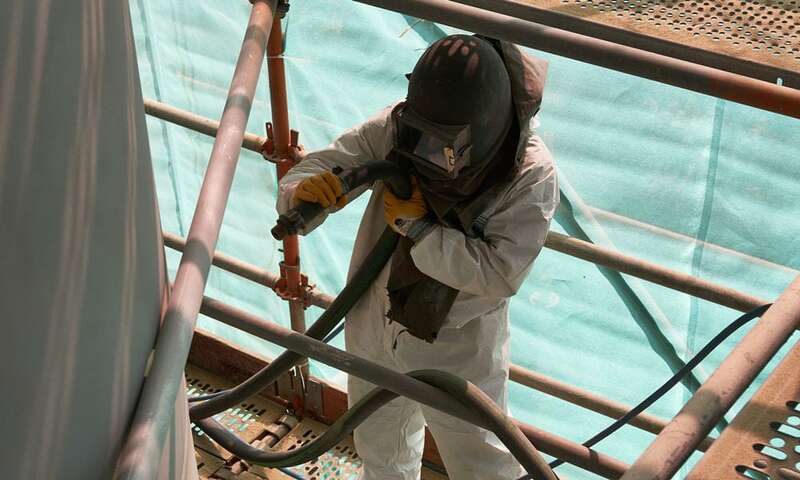 “We have the APAC anti-corrosion package, with extra insurance, to ensure that the water tower, an important link in our water supply network, is well protected. The APAC guarantee is important in view of the complexity of the paintwork (position, height and specific painting of the world map in Bierbeek). Furthermore the water tower is an important local landmark and so a sustainable finish to the paint work was very important. The execution went smoothly and well. The result was as desired “. “The APAC guarantee is increasingly being requested by clients. They know that they will be offered the best solution for their particular project. This is what De Watergroep required and we were able to provide this working within the APAC framework. We are experienced applicators and with the assurance of expert technical advice and audits we are able to offer the warranty our clients require”.